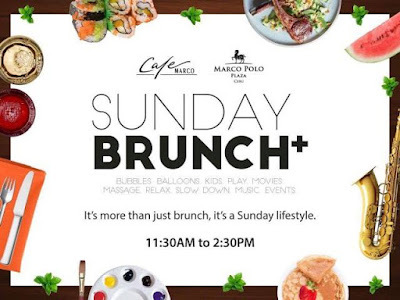 I had just a perfect timing to try Cafe Marco's introduction of a new lifestyle, that is the Sunday Brunch Plus (Sunday Brunch+) a day ago with fellow friends from my blogosphere social circle. 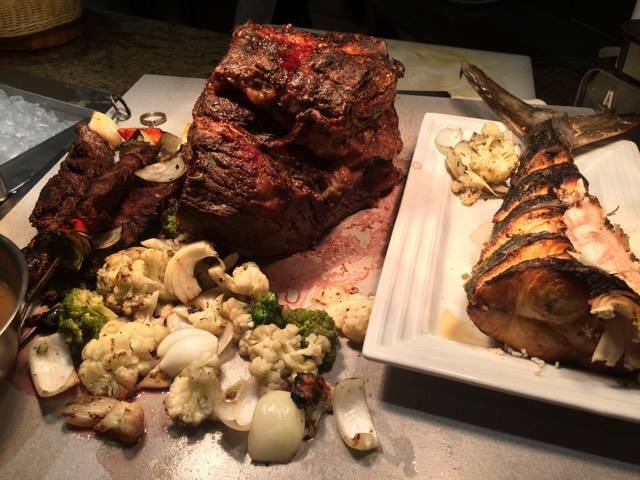 With this set up, expect it to be a Sunday thing to forever with Cafe Marco. I definitely feasted on the various cuisines, desserts, boozes (with live local acts setting the buffet mood)! I was there devouring food I can and drinking wines and mocktails unlimited and thinking to having a lifetime of sundays spending it at Cafe Marco. It could be an expensive Sunday lifestyle after all. But what is "good" food? I can't bargain that for anything. What do you think? So how is BRUNCH defined? 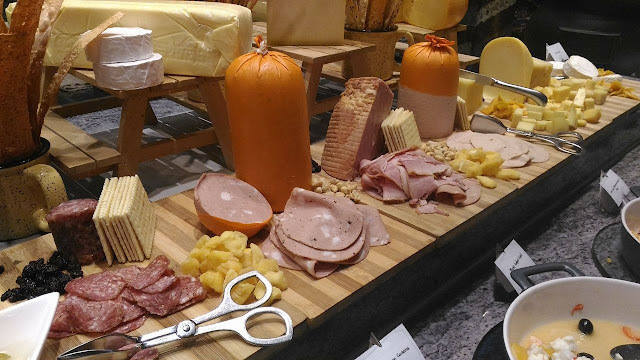 Aside from the known fact that brunch is a combination of breakfast and lunch, Cafe Marco's Sunday Brunch+ starts at 11:30 AM to 2:30 PM. How much will you be spending for a brunch? So if you and your buddies are the type of "alcoholic" drinkers, I suggest you get the Brunch n' Bubbles as you will get free-flowing of wines (red and white), cocktails, and other standard drinks. Iced tea, perhaps! For those targeting a gastronomic journey on a sunday, make sure you have "rooms" for a lot of food. I personally enjoyed some slices of roasted beef, cold cuts and cheeses, seafoods (from shrimps, to mussels, to clams), sushis and sashimis, and tried their D.I.Y burger where I had my patty within croissant. 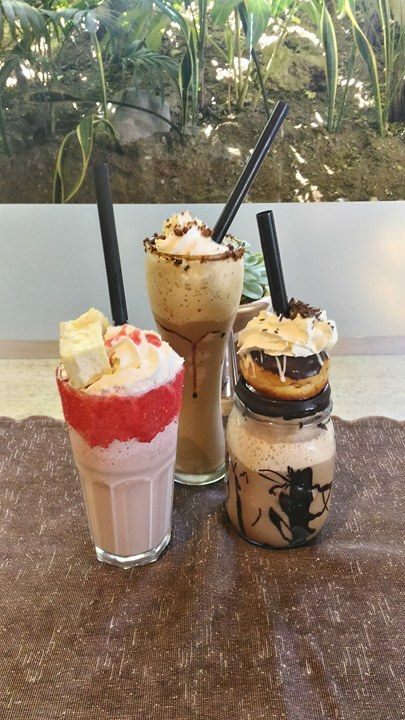 And here's one thing I've discovered when I went there, they introduced 3 new signature frappes: the strawberry Cheesecake Frappe, Coco Latik Frappe, Monster Chocolate Doughnut Frappe. It's not part of the unlimited drinks. It will cost you around Php 196. 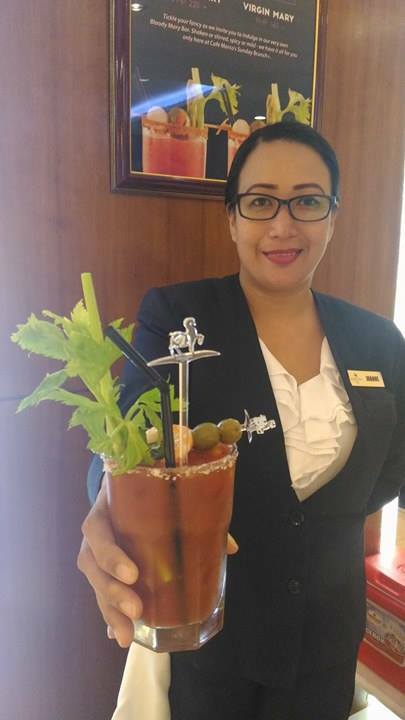 And if you heard of Bloody Mary tomato poison which is perfect for hang-overs, Cafe Marco has a D.I.Y Bloody Mary station for that. 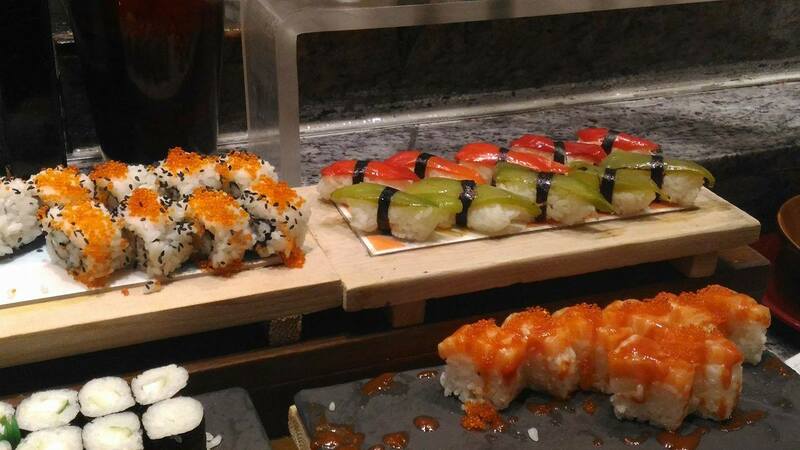 For a single order, it will cost you around Php 180. But if you get the Brunch n' Bubbles, expect it to be "free flowing". Now, I can see you smiling from ear-to-ear. She's giving me BLOODY MARY! Since Cafe Marco is introducing a lifestyle, they also offer a free five-minute massage after you dine in. And to complete the Sunday Brunch+ laid back sesh, you can head straight to the El Viento restaurant and Pool bar and take the chance to dip in the pool (even if it's beyond 2:30 pm)! 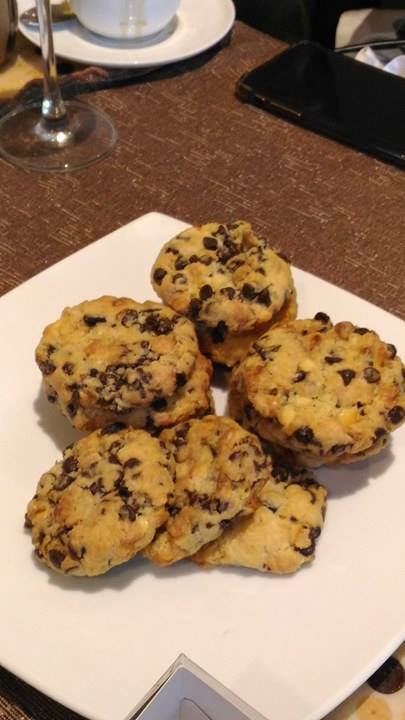 Marco Polo Cebu is indeed very generous with happiness with your "lovies"... So don't forget to bring your swimwear and of course your underwater camera! Please watch this video below: my #SundayBrunch+ experience at Cafe Marco (video still editing). Excellent article on this topic. Keep posting these types of articles. Thanks for sharing Interesting post.Great job!! You have a nice article. I will be back alot Good luck with all you do! Great and very informative content and i like the best thing about this article is detailing of topics. I am so happy to read this. This is the kind of manual that needs to be given and not the random misinformation that’s at the other blogs. Appreciate your sharing this best article. It’s actually a great and useful piece of info. I am satisfied that you shared this helpful information with us. Please stay us up to date like this. Thanks for sharing. Wow! This could be one particular of the most beneficial blogs We’ve ever arrive across on this subject. Basically Wonderful.